WHAT IS THE GRAVITY WELL? Our generation’s most promising challenge. The Gravity Well shows the surprising actual challenge of space. And it makes an inspiring case for meeting that challenge. Imagine a national effort that offers immediate payoffs to the economy, renews our technological prowess, and restores America’s reputation as a peaceful world leader. 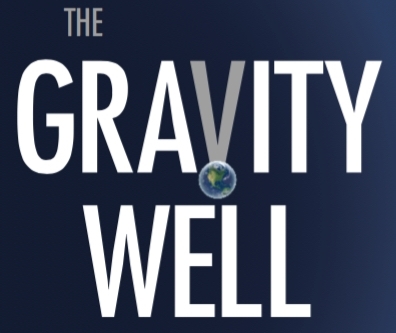 The Gravity Well is a must for everyone who cares about our country. Space gave us smartphones and GPS. To keep the benefits flowing, we need to treat America as a complex system. What one change or input would make the biggest difference for the least cost? The answer may surprise you. For one thing, it means not setting a single goal. For another, it means setting a definable frontier--one that will someday dwarf the economy on Earth. By 2030, we can have a small working colony of humans on the Moon. By that same date, we can be mining ice and precious metals on asteroids. By 2040, we can have a colony on Mars. By 2050, we can have probes on other, more habitable celestial bodies, more new worlds. All within the lifetime of some readers. Which raises the question: Is it worth it?